I’ve been enjoying getting back into the swing of things in the Bay Area by letting serendipity lead some of my arts-going choices. Sometimes this works out great, such as my visit to see the Imaginists in Santa Rosa the weekend before last. Other times, it’s been a little blah. This weekend’s round of musical events generally fit this category. You win some, you lose some is the way it goes. At the Freight & Salvage in Berkeley on Friday night, a-list fiddle players Mark O’Connor and his wife Maggie gave a technically virtuostic performance that was completely lifeless. The San Francisco-baed Dirty Cello duo, which opened the show, was more engaging. The band features Rebecca Roudman on cello and guitarist Jason Eckl. Roudman treats her cello like its a rock instrument. She makes it sing and cry and shout. And that’s enough to hook me in. Conversely, Roudman’s actual singing (she did vocals on a few songs) is no match for her wicked string playing. 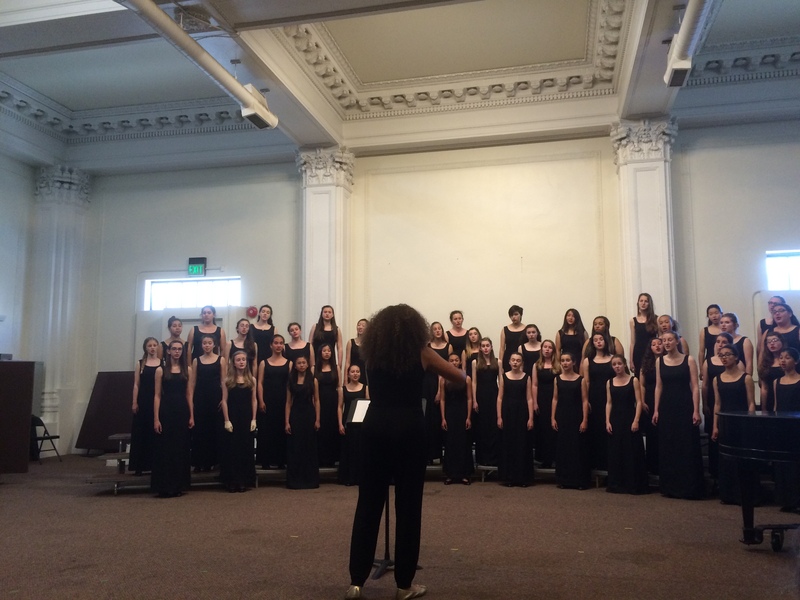 On Saturday, I attended an open day at The Kanbar Arts Center in San Francisco for The San Francisco Girls’ Chorus. Guest performers Musae (an a cappella chamber choir of adult female singers) made my skin crawl slightly with an ill-advised rendition of the rock star Lorde’s “Royals.” The ladies all looked quite uncomfortable bopping about in their little black cocktail dresses. 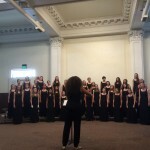 But amidst the mostly unexciting offerings, I was gobsmacked by the Girls Choir concert choir’s ballsy take on a Meredith Monk piece that involved ululation among other extended vocal techniques. And a mixed voice youth choir mentored by Chanticleer gave me goose-bumps with their heart-warming version of “Shenandoah” despite some intonation issues. Finally, last night, I found myself with some friends at Amnesia, a bar in San Francisco’s Mission District, where I heard the Lyons, Colorado-based alt-folk-rock group Taarka perform. Not too much to report here. A song about the flood that devastated the core members’ home in September 2013 seemed a little too boppy and bland considering the story. The group played with warm musicality, but the crappy acoustics at Amnesia didn’t help their cause.